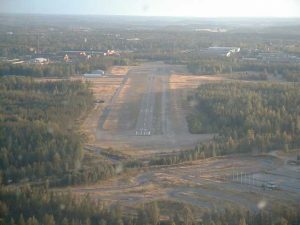 A busy airfield close to downtown of the Hyvinkää city. The clubs Jukolan Pilotit, Hyvinkään Ilmailukerho and Mäntsälän Ilmailukerho operate from the field, and there are lot of visitors from other airfields in southern Finland. During the summer there is a lot of glider activity using both winching and tow planes. When runway 04/22 is used for witch towing, there is a 4mm steel winch line across runway 12/30. 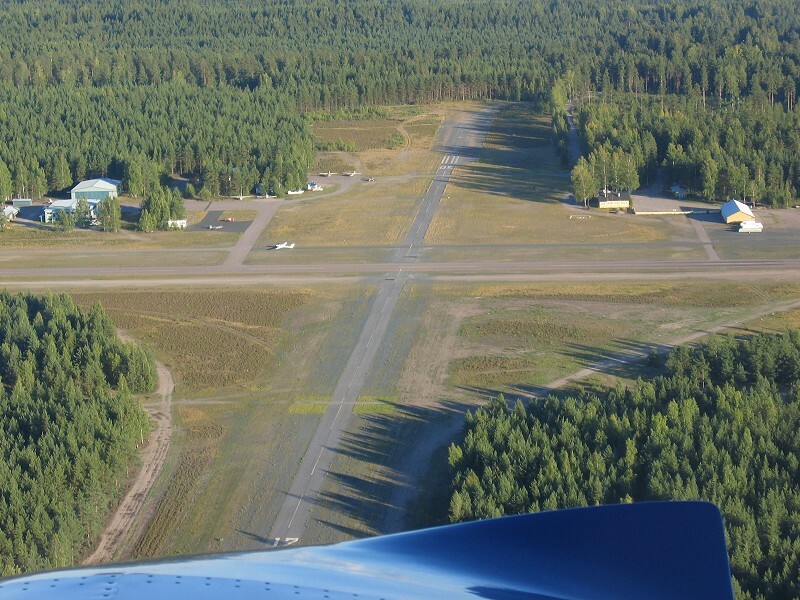 Asphalt runway surface in good condition. 12/30 has some slight roughness in surface. 12/30 normally not cleared of snow during the winter. Food/coffee available from the cafeterias of Jukolan Pilotit and Hyvinkään Ilmailukerho (self service). Airport chief, chairman of Hyvinkään Ilmailukerho: Jukka Helminen (040) 5010 590. 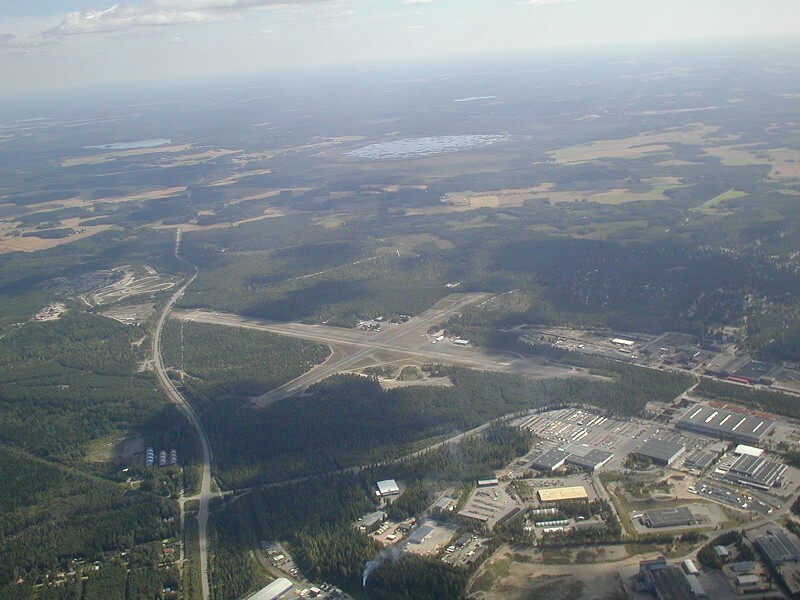 Hyvinkää airfield as seen from the air. Photo Sami Myllymäki. A closer aerial view August 2004. Photo Esa Haakana. On final approach to Hyvinkää runway 22. Photo by Håkan Sandberg.